San Diego Therapist: Donna Scott - Therapist 92108. Send A Message To Donna. Session Fees: My standard rate is $175 per 50-minute session, paid at the time of service. I provide a ministry fee rate for those who need it if space is available. When I was fourteen years old, my father became a pastor. For some strange reason, when the members could not reach him, they started sharing their problems with me. I found out I was a pretty good listener! Those early years became the seeds for my future designed to help the hurting hearts of others. As a San Diego Christian Marriage and Family Therapist, and owner of Donna Scott Therapy, I offer the benefit of my professional experience and training combined with compassion and insight from God’s Word. My ApproachI have over 25 years of experience providing individual, couples, family and play therapy in a variety of settings. The focus of my work is to help those with hurting hearts heal from relationship wounds. My goal is to empower, educate, enlighten and equip my clients so they can experience life the way God intends. I can assist you and your partner in overcoming your difficulties and evolve both as lovers and friends. Through counseling I can facilitate healing, improved communication, increase connection and understanding. My desire is to live a life “worthy of the calling” God has on my life. Over the last 30 years, Donna has been a popular speaker for worship services, seminars, conferences, and retreats throughout Southern California. 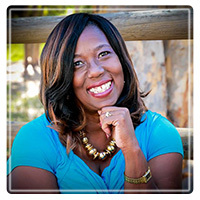 She brings a unique perspective to helping with issues and relationships based on the Word of God, combined with her professional knowledge and life experiences. I have also trained with many leaders of the field including The Couples Institute and now Emotionally Focused Therapy. My Life at Home I praise God for 30 years of marriage where I have the opportunity to practice what I teach! We are blessed with four children, three adults, and one adolescent. So close and yet so far from an empty nest. I serve as New Members Counselor and women's Bible study teacher at my home church. In my spare time (yeah, right! ), I love to skip to the end of my Christian fiction books to see if the book is worth reading. I have discovered coloring again and find it find it a wonderful way to relax even if I do go outside the line, oops!